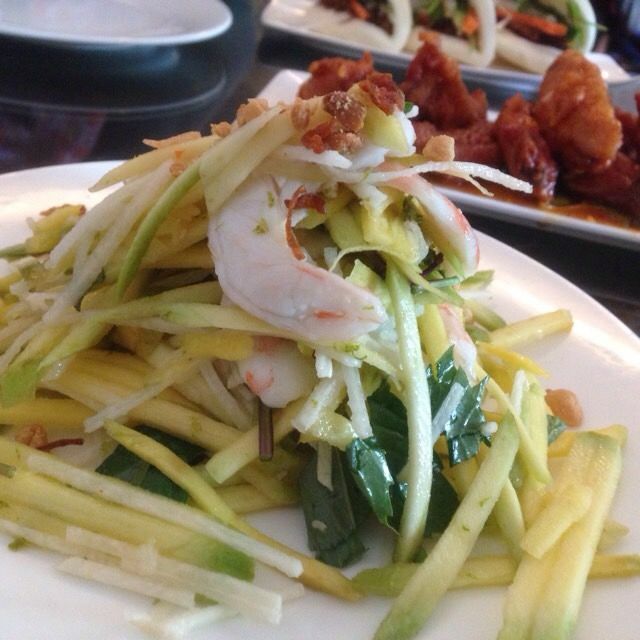 Mango salad with prawns. The best mango salad I&apos;ve ever had. 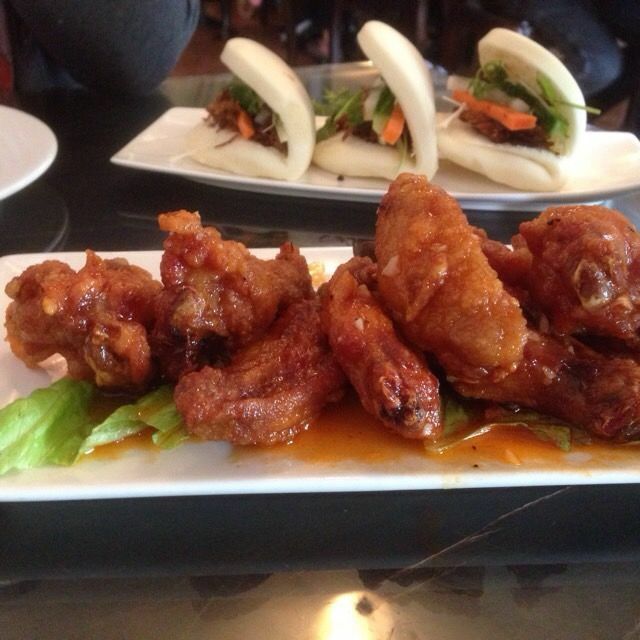 Uncle Hing&apos;s chicken wings with Uncle Hing&apos;s hot sauce.